คืนนี้ 21 เม.ย. — 22 เม.ย. 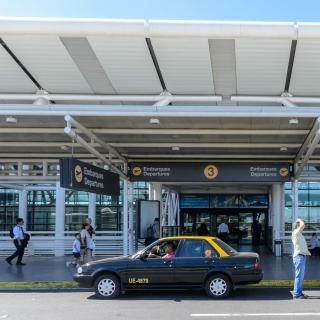 In a prime location in the Pudahuel district of Santiago, La Quinta by Wyndham Santiago Aeropuerto is 4-star hotel situated just a 5-minute drive from the airport. Great airport hotel with nice large rooms, good gym, lovely brealfast buffet and a decent restaurant. Free Airport Shuttle. 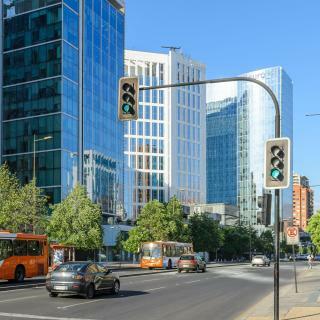 Featuring a fantastic location 1 block from Pedro de Valdivia Metro Station, Solace Santiago offers accommodations in the Providencia district of Santiago. Outstanding service from the entire team. Great location in the city. Beautiful views from the rooftop bar. Courtyard by Marriott Santiago, is located in Las Condes and features indoor swimming pool, restaurant and high speed free WiFi. Lovely experience at the courtyard. Amazing breakfast, comfy beds and strong shower - recipe for success ;) Great rooftop views, the pool is nice and warm and the gym has all the equipment one could need. The mall is just a block away, perfect location. CasaSur Charming Hotel is located in Santiago. Free Wi-Fi access is available. Each room here is fitted with a safety deposit box large enough for a laptop. Small hotel but that doesn t mean they cut cornets. Located 84 metres from Bellas Artes Subway Station, Hotel Altiplanico Bellas Artes offers accommodations with free WiFi access in Santiago. The spacious and bright rooms feature a modern décor. Great hotel, excellent location. Very clean and comfortable. Highly recommended! Modern suites with urban-style decor and gym facilities are offered in downtown Santiago only 800 metres from Costanera Center Shopping Centre. The Ritz-Carlton, Santiago features a luxurious rooftop Spa with a view of the mountains and the city. Facilities include a heated indoor pool and a hot tub. There are 3 restaurants. The boutique Orly Hotel is situated in popular Providencia, just 5 minutes’ walk from Los Leones Avenue. It features a restaurant, on-site car rental and free Wi-Fi throughout the hotel. What will bring us back to this hotel is the extremely comfortable bed with its luxurious linens. 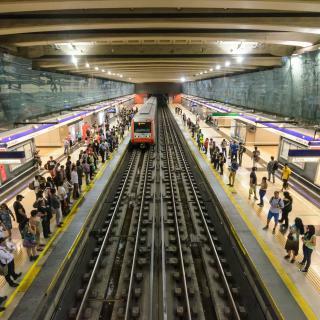 Chilhotel is 3 blocks from the Manuel Montt Metro Station in Providencia. 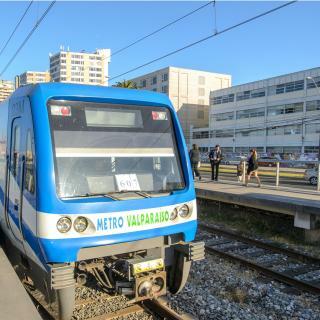 It offers free Wi-Fi and a shuttle that can transport guests from the airport, bus or train station. Very friendly staff and good location close to Metro and shops/restaurants. 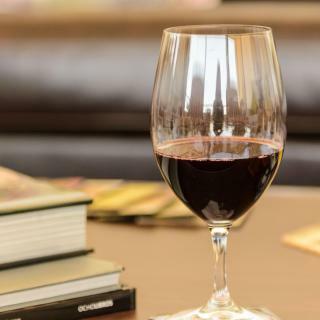 Situated in Santiago, within 2.2 km of La Chascona and 2.5 km of Santa Lucia Hill, Hotel Casa Madero Boutique offers a shared lounge. Staff were very friendly and helped me with few logistical needs. Set in the Providencia district of Santiago, Tagle Hotel Boutique is 1.8 km from Patio Bellavista. 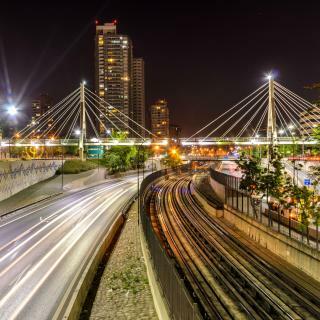 Built in 1932, the property is within 2.2 km of La Chascona and 2.7 km of Costanera Center. One of the best hotels in my experience. Icon Hotel ตั้งอยู่เมืองซานติอาโก ในย่าน Las Condes ที่พักแห่งนี้ให้บริการสระว่ายน้ำบนชั้นดาดฟ้าพร้อมวิวของเทือกเขา Andes ผู้เข้าพักสามารถอิ่มอร่อยกับการรับประทานอาหารที่ห้องอาหารและบาร์บนชั้นดาดฟ้า... The breakfast is amazing. The pool is beautiful. The room is clean. We stayed for two nights. 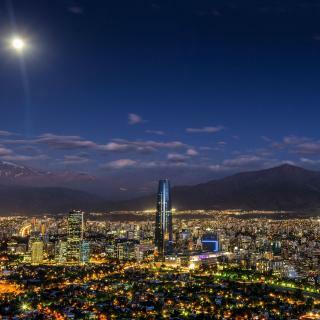 Set in the high-end Vitacura district, Hotel Cumbres Vitacura provides accommodation in Santiago. Free WiFi is featured throughout this entire property. Excellent staff, comfortable bed and room, great location, will be coming back! Located 500 metres from Salvador metro station, Carménére Ecohotel offers free Wi-Fi and Chilean organic breakfast in Santiago. An on-site bar, garden, and sun terrace are featured. Very friendly staff. Cosy environment. Great internet. Tasty breakfast. 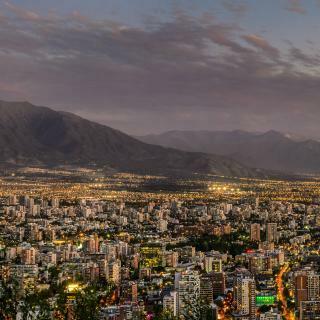 Offering a terrace, a bar and restaurant, The Hip Santiago Hotel is located in the heart of Bellavista, one of Santiago's most eclectic neighbourhoods. Everything about the Hip was awesome....the staff are very friendly & helpful. Located a 5-minute walk from Bellas Artes Metro Station, Casona Loreto offers accommodations in Santiago. Free WiFi access is available throughout the property. Fantastic stay, super clean and very friendly staff. 45 by Director provides suites in Santiago, between El Golf and Tobalaba Subway Stations. Each room features a king-size bed, cable TV, a safety-deposit box and free WiFi access. Location excellent for walking to many sites. Staff knew English and were very helpful. For the cost, you can't find a better place. Restaurant o site good food, excellent service, prettiest waitresses in Santiago. Room was clean and comfortable. Television didn't work, but was repaired within 5 minutes of call. Beautiful art deco building with a fun antique elevator. Front desk staff was incredibly helpful. The rooftop terrace serves excellent food and drink. The bathroom was almost as big as the room itself and served as a handy spot to store our luggage. Everything about the Hip was awesome....the staff are very friendly & helpful. The location is perfect for site seeing or relaxing. The patio was great, food, drinks & service get a thumbs up! Music had a good vibe....loved it all. The breakfast is amazing. The pool is beautiful. The room is clean. We stayed for two nights. Excellent service by the man who brought our bags up. Location near downtown and many attractions, professional staff, clean room and toilette, good breakfast, and price (if you book on time). Great B&B in a nice, quiet street. Plenty of good restaurants in walking distance. Sergio is a wonderful host. The room was above expectation. The breakfast was very delicious. And the staff was great! Very comfortable beds, staff is very helpful and pleasant and the location is very good. the room, the staff were good.